Marché Dantokpa is lively and colorful and offers goods ranging from electronics, jewelry, and clothing to fresh fruits, spices, live animals, and voodoo talismans. AlthoughMarché Dantokpa is laid-out by the type of goods sold, there is a mix within each section so visitors are able to survey a range of goods without having to trek across the massive market. Traders also often move about selling goods in large wicker baskets to reach a wider audience. This mobile hawking that occurs in various languages contributes to the distinctive loud, bustling atmosphere of the market. Marché Dantokpa is an important source of income for both men and women in West Africa. While women make up the majority of traders at the market, men are employed to transport goods between various sections of the market. With more people than vehicles, the market is a safe space for the children of traders to mingle and play. Traffic moves slowly within the market to avoid young children running around and men moving heavy loads of goods. Although the heat can be brutal, walking through the vibrant open-air market is an incomparable experience. 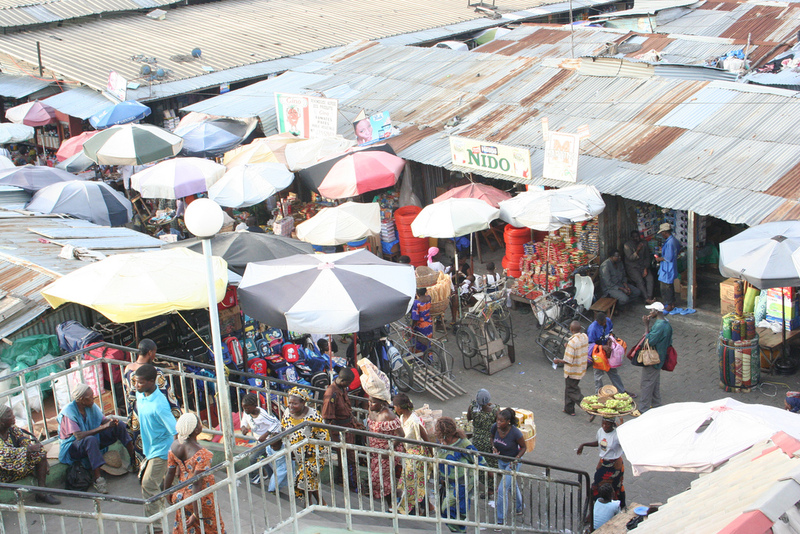 Opened in 1963, Marché Dantokpa is one of West Africa’s largest open-air markets. It sprawls across 18 hectares of land in coastal Cotonou, Benin, on the banks of Nokoué Lake. 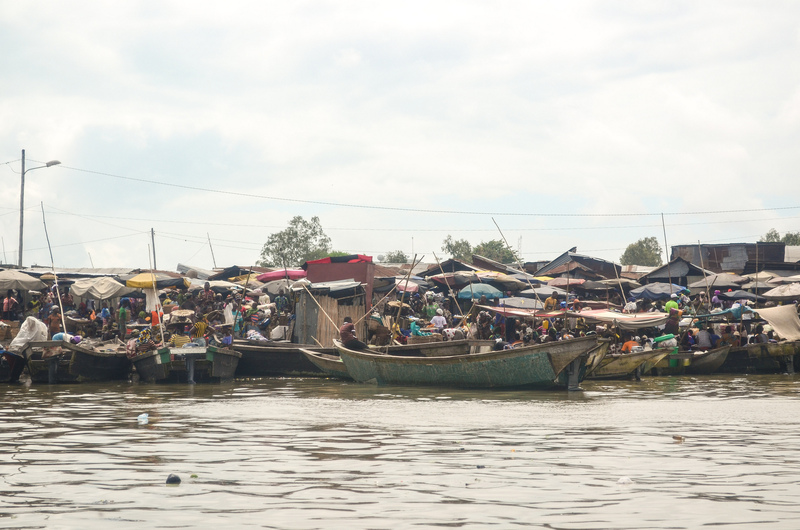 Many of the market’s traders and customers hailing from various West African countries dock their boats on the lake every morning. 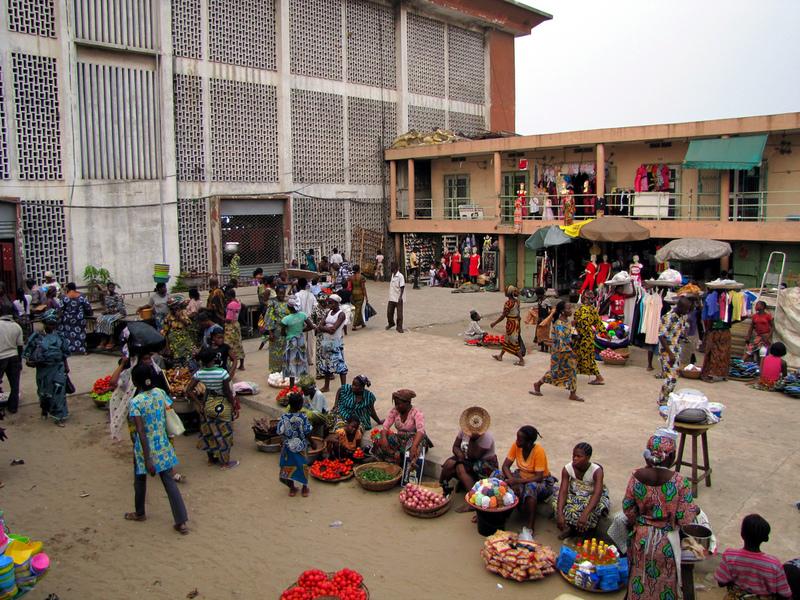 Marché Dantokpa has a three-story main building surrounded by smaller huts, or apatams, built by traders. Often described as a “city within a city,” Marché Dantokpa functions as the region’s mecca of commerce with about a million buyers gathering daily and a commercial turnover of over one billion CFA Francs per day.